The other day I mentioned the growing trend of arrows in a space. I decided to create a neutral nursery using a few arrow pieces. Using different shades of taupe and ivory, this space feels warm and inviting, while feeling calm and light. Adding little touches of gold adds a bit of sheen and glamore. I hope you all have a great weekend…I know I am looking forward to a break from the schedule. Oh, Bri! I absolutely love this design. 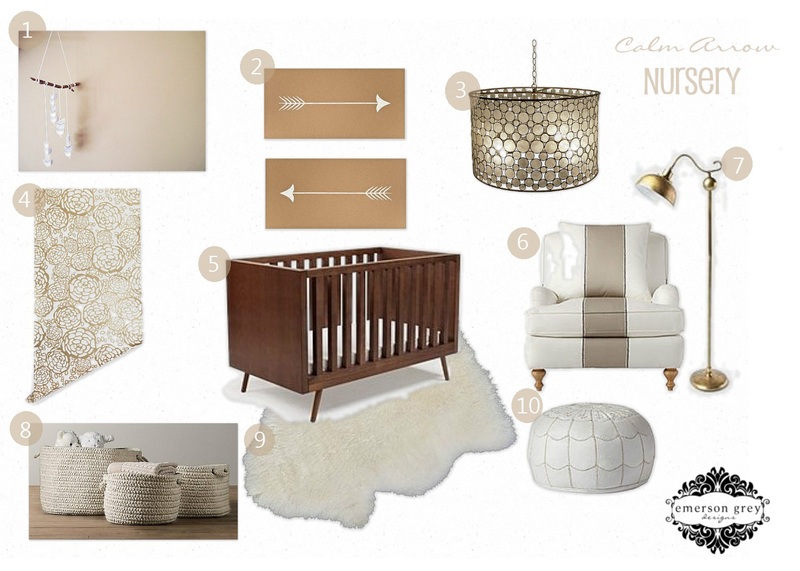 The neutral palette with touches of gold is perfection. I think the arrow trend is so fun and you have incorporated it beautifully.